Barbra Brehon has written this book for a specific group of people. The program presented in Beyond Discipleship to Relationship is for churches looking to help grow the congregation spiritually, and within their personal gifting. I really appreciated the layout and progression of this book in addition to the context. Brehon has created a thorough program that works to support and educate all involved. 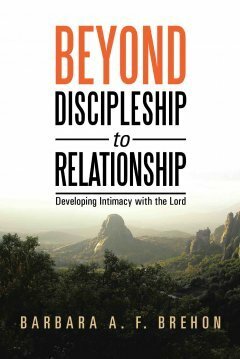 The first part of Beyond Discipleship to Relationship helps the reader to focus internally. Using the principle of grafting and encouraging a little self-reflection, Brehon reminds the reader that they must always be in personal pursuit of relationship with Jesus in order to be able to encourage others forward as well. From there Brehon presents the principle of discipleship in triads. Each section includes points to ponder and responses from previous participants. I found each section to be thorough and with a good amount of information. I did find a few of the biblical connections to be stretching in order to fit within the parameters of the program, but nothing that was out of context or misused in my opinion. I would suggest this book as a resource for churches looking to branch out in how they develop people and programming. I give this 4 out of 5 stars. In exchange for an honest review I was given a free copy of this book via BookLookBloggers. The opinions expressed are my own.